Pend Oreille Arts Council sponsors free concert series featuring regional musicians at Dover Bay Marina, July 4, 11, 18 and 25. Free music every weekend…all summer long!!!! with local and regional musicians. Opening reception was June 18 for the 24th annual ArtWalk I. Artwalk is a yearly event featuring art exhibits at 20 or so gallery locations downtown through July 26, sponsored by Pend Oreille Arts Councel. Fourth of July fireworks over the lake celebration will be held on July 3rd in Sandpoint this year. The Sandpoint Lions Club sponsors a great day for the community, beginning with downtown parades in the morning, stage performances and an ATV raffle at City Beach in the afternoon, and then to top off the night the fireworks show over Lake Pend Oreille at dusk. Then on the 4th head over to Clark Fork for the annual parade and events on the high school grounds through out the day. Fireworks will be held at the high school. For my favorite the fireworks over Lake Pend Orielle at Hope. For such a little town they sure have a large fireworks display every year. Watch this 25 minute mini-workshop to get a better idea of the content and presentation of the upcoming live workshop by clicking here. Please allow time for the workshop to load in Windows Media Player. Have you always dreamed of creating your art full-time? Are you selling your work and tasting success, knowing that others appreciate what you have created? 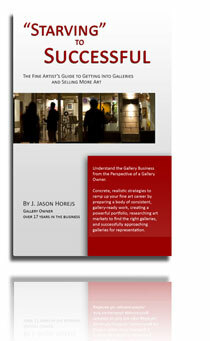 Are you ready to take your art career to the next level and start selling your work in galleries? You are invited to participate in an exclusive marketing seminar that will put you on the path of reaching your goal to become a professional, full-time artist. This unique seminar will give you marketing insights from Scottsdale, AZ gallery owner and author J. Jason Horejs. With over 16 years of gallery experience, including 8 years as owner of Xanadu, Horejs has experienced first-hand the challenges artists face when approaching galleries. He has also observed that many artists are making the same mistakes and are ill-prepared to be talking to gallery owners, setting themselves up for frustration and often failure. Amazingly, despite the fact that there are thousands of workshops and courses providing artists with opportunities to learn new artistic techniques and skills, there are very few opportunities to learn about the practical side of the art business, especially when it comes to the topic of finding the right galleries to carry your work and how best to approach them. Finding a great demand for information in this area, Horejs developed this intensive workshop that will provide you with an inside understanding of the gallery business. Armed with the knowledge of what gallery owners are looking for, what groundwork needs to be laid ahead of time and how best to present themselves, Horejs believes every artist can successfully find good representation for their work and generate sales. Broker/Agent Social – Social Networking for Real Estate Professionals – Are You Connected? As the world continues to depend on the Internet for just about anything under the sun, the real estate world expands its internet horizons as well. In today’s fast paced velocity, being in the know of the various marketing portals is essential. Finally, a social networking website has been created for real estate professionals. www.BrokerAgentSocial.com is a FREE website developed as a networking community for real estate sales agents, mortgage brokers, marketing specialists, and all other professionals who provide support to the real estate industry. So how will Broker/Agent Social help you and your business? Once you create a professional profile for yourself or for your team, making connections with other industry professionals is right at your fingertips! Keep in touch with colleagues and clients while promoting your business. Have something to say? Post a blog about your listings, new trends and new developments, or how the economy has been affecting your business using the Blog feature. Upload your independently-made videos or an interesting newscast clip seen on the internet using the Video page. Have an event to promote? Update the community on your upcoming events such as an open house or a home buying seminar using the Events feature. 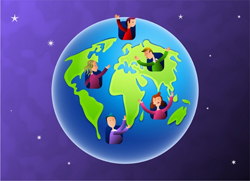 Join Groups! No matter what type of a real estate business you are affiliated with, the ability to join or create a group is possible. Make a new connection or update your group about an innovative marketing method or an up- and-coming development! The options are vast! Create a Poll or Post an Article! As a society of inquisitive people attempting to maintain and grow their business’, Broker/Agent Social allows you to ask those pertinent questions to an entire community of other professionals who may be wondering similarly. Using the Poll aspect of the website allows you to ask industry-related questions or contribute your opinions or expertise on a subject. Using the Articles feature allows you to upload an article that may have caught your eye or post one that you wrote yourself. These aspects are great because they keep you up to date with the direction of the industry and the pressing questions that can potentially effect your business. Broker/Agent Social is a very new social networking website and has already attracted nearly 10,000 members! We highly recommend that you discover what may be a positive networking opportunity for the future of your business! Don’t have time to setup/manage your social networking websites? Need help? Call or email us today and consider it done! You may not have a profile on Facebook or have hundreds following your tweets on Twitter. You may not even know what any of that means. But hopefully your real estate agent does. Did you know that over 80% of Americans use social networking sites like Facebook, Twitter, and LinkedIn monthly? While it is true that teens and tweens are the trendsetters, folks 35 and over are using these platforms more and more. The average age of a Facebook user is 33 and for Twitter it’s 31! So, a buyer for your property probably has a profile on Facebook or may be following your realtor on Twitter. When your realtor is active on Facebook they are not only socially connected with their friends and family who may be potential buyers. 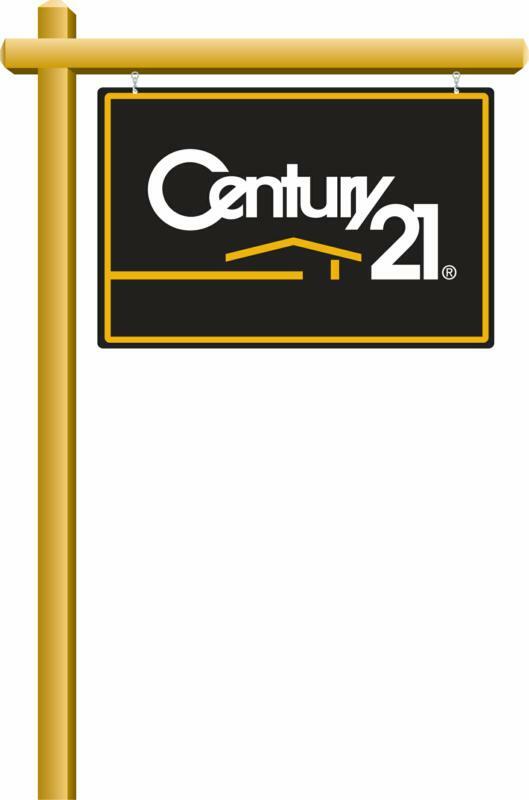 They are also connected with many other agents in their market and across the country. Your listing is promoted to all these agents and their buyers. Your agent can also upload unlimited photos and videos of your house, even link to additional information on their blog. With Twitter, an agent has the abilty to send tweets (messages) in real time to promote open houses, price adjustments, link to pictures and virtual tours, and more. These updates can be sent to the masses instantly from a computer or even a mobile device. Followers can use the site to request additional information or ask questions about the property in a non-threatening way. Where will the buyer for your house come from? It may be from a social networking contact! In the meantime check out my fan page on Facebook! About the author: Kristyn Grewell, GRI ABR e-PRO, is an Active REALTOR with CENTURY 21 Goodyear Green in Edmond, Oklahoma. She helps her clients buy and sell homes and investment properties in Oklahoma specializing in Edmond, NW Oklahoma City, Guthrie, Mustang, Yukon and the surrounding areas. Kristyn is also an Oklahoma relocation specialist. As a member of the Cartus Broker Network she can connect you (or your friends and family) with a qualified real estate specialist virtually anywhere! Please note that individual listings periodically mentioned in this blog are accurately described in terms of availability and price at the time of the posting. Because properties are constantly coming on and off the market, please contact Kristyn for the latest information on those that are of particular interest to you. Hope you see something you like. As always, we wish you the very best! rolled into the open areas between the rocks. poured it into the jar. Of course, the sand filled up everything else. to you that if it were lost, you would be nearly destroyed. the house, give a dinner party and fix the disposal.